Beyond the Ban is a group exhibition showcasing the work of leading Iranian artists based in the United States. 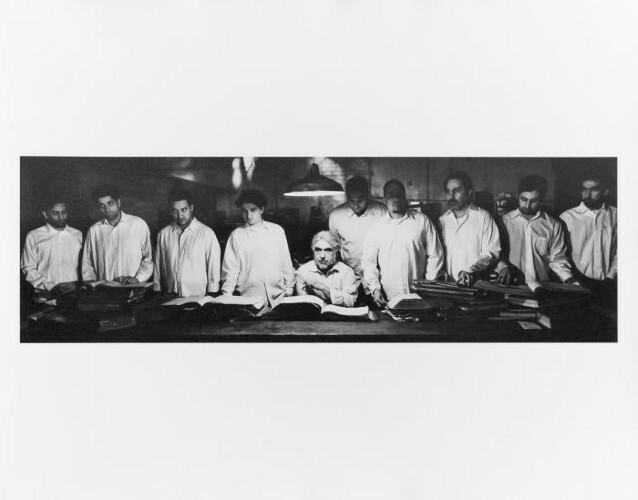 It features painting, photography and prints by such luminaries as Shirin Neshat, Nicky Nodjoumi, Nahid Hagigat, Shoja Azari, Shahram Karimi, Jason Noushin, Afshin Naghouni, Nazanin Noroozi, Raha Raissnia and Hossein Fatemi. Proceeds will benefit the Center for Human Rights in Iran, a non-profit based in New York City. The exhibit demonstrates the rich stylistic and thematic variety of art being produced today by the vibrant community of Iranian artists living in the US.